It was 5pm in the evening, Jagat the resident naturalist of Tiger Den Bandhavgarh was with some clients in the park near Mahammen Pond, and they were looking for Challenger, a young robust male Tiger, about 5 years old, as this was his area. 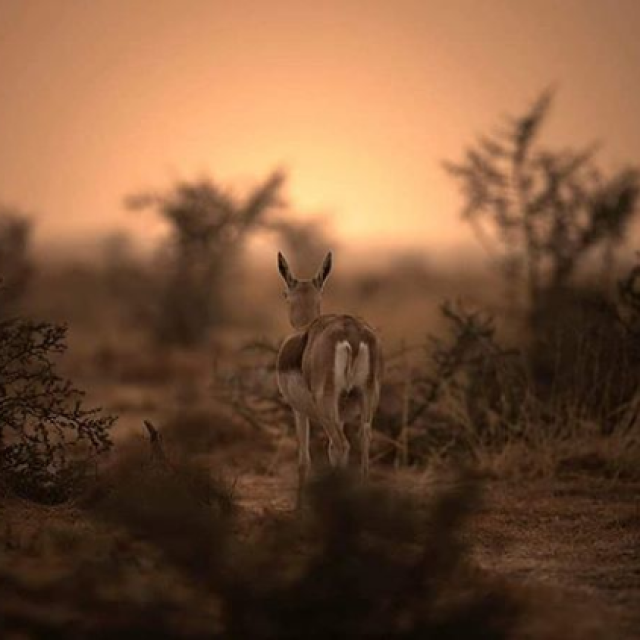 Time was right, place was right, and they were moving gradually, their ears were fervently waiting to hear some alarm calls, and their eyes were dying to get a glimpse of some stripes in the tall grass. It was any moment that they expected some movement of the majestic Tiger of the area. Jagat looked at the patch of grass close by, and kept looking, and Tirath the driver was driving. As the patch of the grass finished, Jagat could not believe his eyes, Challenger was siting in a small ditch about 5 metres away from the road. 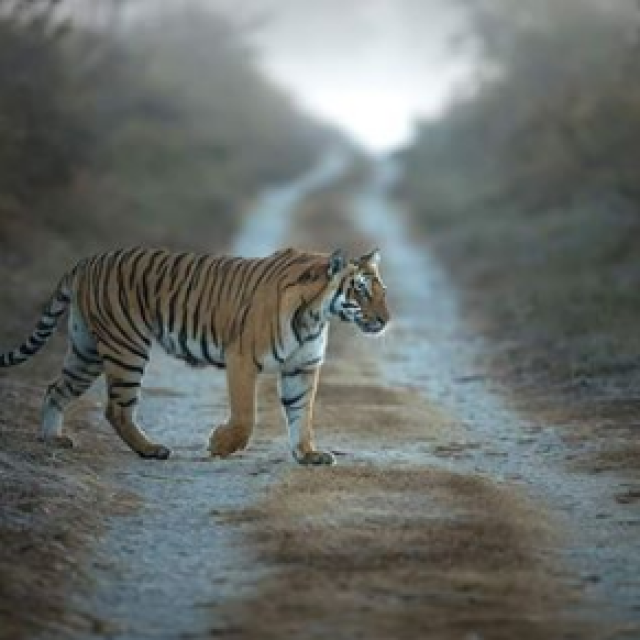 He turned and informed the clients in the Jeep about the presence of Tiger, by the time the clients in the Jeep saw Challenger, Jagat again had a look at him. Instantly he told Tirath to speed up the vehicle and move away from Challenger. Neither Tirath, not the guests comprehended this strange behavior of Jagat. They wanted to take some photographs. They asked him what happened? By now the Jeep was about 20 meters away from Challenger. It was then that Jagat told then that he saw a cut mark above his nose, and by his sitting posture he noticed that Challenger was not sitting, he was uncomfortably lying in the ditch. Challenger was hurt. He was in pain. Now, the jeep was at a safe distance and Challenger was still visible. It was now that Jagat showed the clients with his binoculars where the Tiger was hurt. By now couple of other Jeeps had also arrived, and Jagat asked them to move away as well. Jagat and Tirath decided to intimate the forest department about the same. They moved and informed the forest department. What happened subsequently is not very clear. But next morning we heard that Challenger had passed away. I received this call, and just could not believe it, as I had been following Challenger for last 2 years. He had rekindled my interest in photography, and on some occasions me an opportunity to spend long time with him. 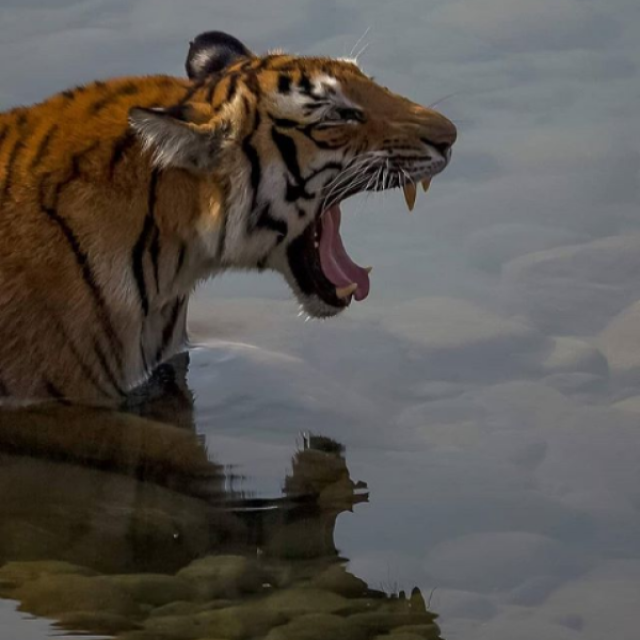 The first thought in my mind was that I dont think I will ever visit Bandhavgarh again. 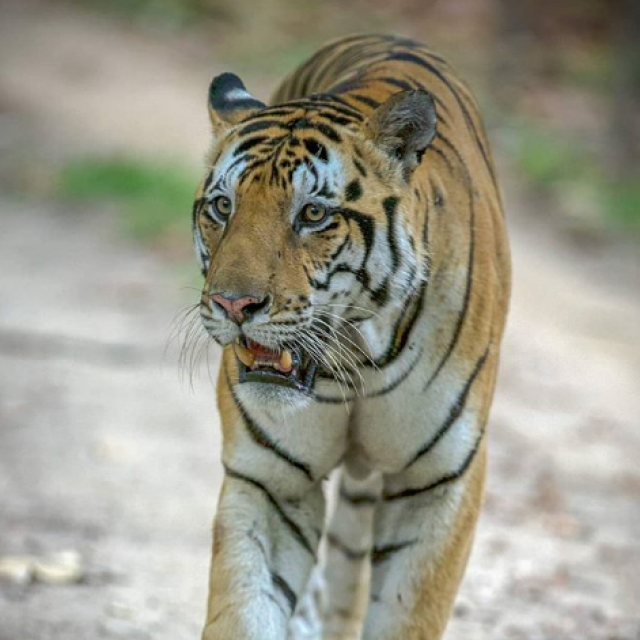 Bandhavgarh will not be the same again without Challenger. This handsome young male was named Challenger when he was only 2 years and had challenged his father's territory. In the brawl that followed, Challenger was no match to his big father popularly known as B2, and he lost half of his left year in the fight with his father. His death was a mystery, lot of speculations, some people say that he had a fight with B2, his father once again, but B2 was spotted 2 days later absolutely fine, and without any scars. If 2 Tigers fight there would be some marks on the Tiger who wins also. There were none, was it a fight with another male whose territory is adjoining to Challengers. No one knows. Or, was it another case of infamous poaching. Well, Challenger will not come back for sure, but his memories will always remain in hearts and minds of people who saw him. A majestic male Tiger who would walk, least bothered with the surplus Jeeps around, a Tiger who patrolled our forests when we slept & was it one of us who killed him for some money, shame. How narrow the thinking of humans has become. God, they will kill you also if you fetched some money for them somewhere. Perhaps that is why God stays away.